What makes a good general? This War Studies Advanced Program explores different models and theories of generalship. Using Carl von Clausewitz and Major-General J.F.C. Fuller’s models as a framework, students will examine the responsibilities and actions of generals from Ulysses S. Grant to David Petraeus. War Studies Advanced Programs are open only to alumni of the basic War Studies course. These sessions are offered in the winter and summer, and focus either on a national security challenge or on a historical conflict. Learn more about the War Studies Program. LTG James M. Dubik (U.S. Army, Ret.) is a Senior Fellow at the Institute for the Study of War and a Professor at Georgetown University’s Security Studies Program. General Dubik has extensive operational experience in Iraq, Afghanistan, Japan, Korea, Thailand, Bosnia, Haiti, Panama, Honduras, and in many NATO countries. His last job on active duty was as Commanding General of the Multinational Security Transition Command-Iraq (MNSTC-I) and the NATO Training Mission-Iraq during the Surge of 2007–2008. He is a member of the U.S. Army Ranger Hall of Fame and a distinguished member of the U.S. Army 75th Ranger Regiment. General Dubik taught Philosophy at West Point and Campaign Theory and Practice at the U.S. Army School of Advanced Military Studies, Fort Leavenworth, Kansas. He has completed an MIT fellowship program for national security studies as well as executive programs in national security at Harvard’s JFK School of Government and Syracuse University’s Maxwell School of Citizenship and Public Affairs. He is the author, most recently, of Just War Reconsidered: Strategy, Ethics, and Theory. He holds a Bachelor’s Degree in Philosophy from Gannon University, Erie, Pennsylvania; a Masters in Military Arts and Sciences from the Army Command and General Staff College, Fort Leavenworth, Kansas; and a Ph.D. in Philosophy from the Johns Hopkins University. Frederick W. Kagan is a Senior Instructor with the Hertog War Studies Program at the Institute for the Study of War. The author of the 2007 report “Choosing Victory: A Plan for Success in Iraq,” he is one of the intellectual architects of the successful “surge” strategy in Iraq. He is the director of AEI’s Critical Threats Project. Frederick W. Kagan is a Senior Instructor with the Hertog War Studies Program at the Institute for the Study of War. The author of the 2007 report “Choosing Victory: A Plan for Success in Iraq,” he is one of the intellectual architects of the successful “surge” strategy in Iraq. He is the Robert H. Malott Chair and Director of the Critical Threats Project at the American Enterprise Institute (AEI). In 2009, he served in Kabul, Afghanistan, as part of General Stanley McChrystal’s strategic assessment team, and he returned to Afghanistan in 2010, 2011, and 2012 to conduct research for Generals David Petraeus and John Allen. In July 2011, Chairman of the Joint Chiefs of Staff Admiral Mike Mullen awarded him the Distinguished Public Service Award, the highest honor the Chairman can present to civilians who do not work for the Department of Defense, for his volunteer service in Afghanistan. He is coauthor of the report Defining Success in Afghanistan (AEI and the Institute for the Study of War, 2010) and author of the series of reports Choosing Victory (AEI), which recommended and monitored the US military surge in Iraq. His most recent book is Lessons for a Long War: How America Can Win on New Battlefields (AEI Press, 2010, with Thomas Donnelly). Previously an associate professor of military history at West Point, Dr. Kagan is a contributing editor at the Weekly Standard and has written for Foreign Affairs, the Wall Street Journal, the Washington Post, the Los Angeles Times, and other periodicals. He holds a Ph.D. from Yale University in Russian and Soviet military history. Kimberly Kagan is a Senior Instructor with the Hertog War Studies Program and founder and president of the Institute for the Study of War. She is a military historian who has taught at the U.S. Military Academy at West Point, Yale, Georgetown, and American University. Dr. Kagan served in Kabul for seventeen months from 2010 to 2012 working for commanders of the International Security Assistance Force, General David H. Petraeus and subsequently General John Allen. Admiral Mike Mullen, as Chairman of the Joint Chiefs of Staff, recognized Dr. Kagan for this deployment as a volunteer with the Distinguished Public Service Award, the highest honor the Chairman can present to civilians who do not work for the Department of Defense. Dr. Kagan previously served as a member of General Stanley McChrystal’s strategic assessment team, comprised of civilian experts, during his campaign review in June and July 2009. She conducted many regular battlefield circulations of Iraq between May 2007 and April 2010 while General Petraeus and General Raymond T. Odierno served as the MNF-I Commanding General. Dr. Kagan held an Olin Postdoctoral Fellowship in Military History at Yale International Security Studies in 2004 to 2005 and was a National Security Fellow at Harvard’s Olin Institute for Strategic Studies in 2002 to 2003. She received her B.A. in Classical Civilization and her Ph.D. in History from Yale University. How Clausewitz and Fuller define and describe generalship. Where the two agree and disagree. Whether Clausewitz’s and Fuller’s understanding of generalship admit to different types of generals. If not why not, and what are the implications? If so, why, and what are the implications? A “model of generalship” from Clausewitz’s and Fuller’s? How Sam Damon and Courtney Massengale compare to the Clausewitz/Fuller model. The Vicksburg Campaign as an example of war at the operational level. Did the campaign have clear, achievable operational objectives that, if attained, would achieve specified strategic aim(s), or are the objectives and aims vague, conflicting, or in some other way ambiguous? Was the campaign based upon a sufficiently accurate understanding of the enemy; the overall military-political situation—domestic, regional, and international; and the actual conditions under which the campaign must be carried out? Was the campaign an expression of a coherent, unitary vision of the commander? Were the parts of the campaign—the tactical battles and engagements, maneuver scheme, logistics, command and control, and communications—means toward achieving the campaign’s end? Were the assumptions upon which the campaign plan was built valid? To paraphrase Mao, just as the cobbler should shape the shoe to fit the foot so as to allow a person to walk well, the campaign plan should fit the specifics of the situation so as to attain its portion of the strategic aim(s). Were there a sufficient number of forces, of the right type? (Note: “Sufficient” is the term is the term used throughout, not maximum or optimal or ideal. No commander ever has all that he or she needs, regardless of the resource.) Were the forces sufficiently trained, equipped, and led? Was the staff system adequate to the tasks of planning, preparing, executing, and adapting the organizations employed? Were the major subordinate leaders sufficiently prepared, did they understand the whole of the plan and their part in it? Were these leaders competent enough to do what was expected of them? 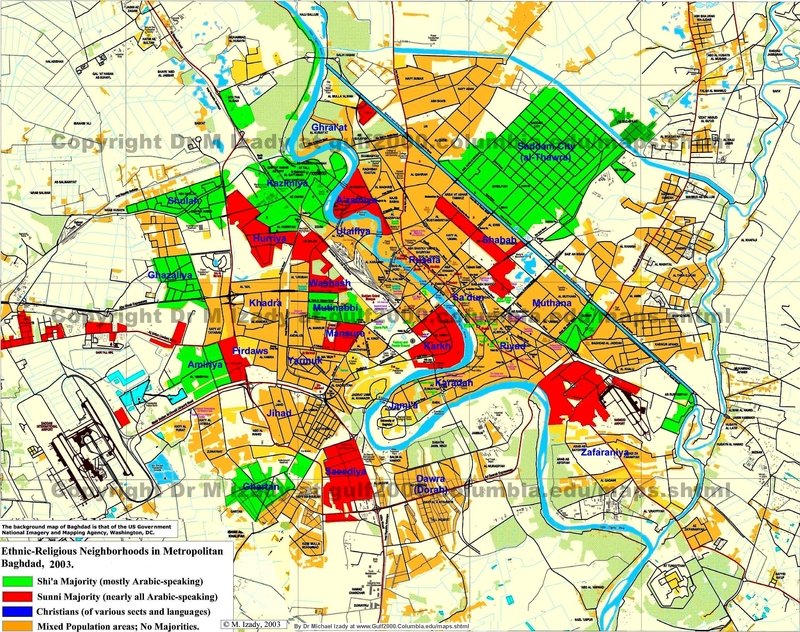 Did the campaign “fit” the actual geographically? Were the systems designed to support the campaign—intelligence, fires, logistics, transport, and communications—adequate to their tasks? Was the resource of “time” adequately considered? Did senior political leaders have a feasible plan for creating and sustaining sufficient societal and political will to support the campaign? Did the leaders of the campaign have credibility within their forces, among subordinate and senior leaders, and with political leadership? Were there in-place, workable and reliable processes, organizations, and technical means necessary to gather information, understand that information, make decisions, observe how the decisions play out on the battlefields, and adapt to unfolding events at least as fast, or faster, than the enemy? (Again, not ideal, sufficient.) What effect, if any, did the political situation have on the way the campaign was planned and executed? (Remember: The whole of a campaign is greater than its parts. And, not all campaigns are autonomous; some are nested within other campaigns. A campaign, for example, may lay the foundation for a follow on campaign. Or two campaigns may be conducted simultaneously where progress, or lack thereof, in one affects the other. “Nested campaigns” are examples of campaigns that must be both internally and externally coordinated.) Did the campaign’s constituent parts fit together into a coherent whole? Was the campaign nested among other campaigns? If so, (a) how was it supposed to be related to these others, and does it relate in the ways intended; (b) how did the senior commanders and staff of each campaign in communicate with each other; and (c) since campaigns are political-military activities, how did the campaign fit with political aims, strategies, and policies? The differences between Grant’s and Fuller’s accounts of the Vicksburg campaign. Grant’s responsibilities at the operational level compared to the commanding generals at the tactical level. The relationship of Grant’s generalship during the Vicksburg campaign to the Clausewitz/Fuller model. Animated Map of the Main Effort of the ’64-65 Campaigns, the Overland Campaign. 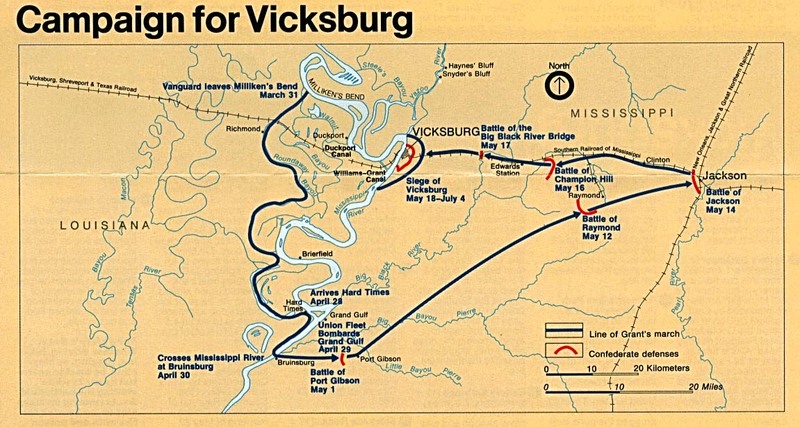 The differences between Vicksburg and the 1864-65 campaigns, the reasons for these differences, and the changes in Grant’s responsibilities and generalship—in planning, execution, coordination; in maneuver, mobility, logistics, communications, command and control, and relationships. A comparison of Grant’s “leadership space” during Vicksburg to that of 1864-65. Comparison of actions of generalship at the national level to generalship during Vicksburg and during the 1864-65 Campaigns. The civil responsibilities for the conduct of war at the national level and how these responsibilities are related to and coordinated with the military responsibilities. Whether the civil and military responsibilities are strongly role differentiated. The adequacy of the Clausewitz/Fuller model; the adjustments necessary to match the model to real generalship. What happened at Kasserine, and the context within which Kasserine took place. The level of war at which Fredendall operated, his responsibilities at Kasserine Pass, and his generalship. A comparison of generalship: Grant at Vicksburg and Fredendall at Kasserine. The utility of the Clausewitz/Fuller model. The overall structure of the set of military actions that constituted the Campaigns for North Africa. The commonalities and differences between Grant’s responsibilities and generalship in the 1864-65 campaigns and Eisenhower in North Africa. The demands of coalition warfare on Eisenhower’s responsibilities and generalship on planning, execution, coordination; in maneuver, mobility, logistics, communications, command and control, and relationships. Describing Eisenhower’s “leadership space” during in North Africa. The adequacy of the Clausewitz/Fuller model; further adjustments necessary to match the model to actual requirements. Odierno’s campaign plan in the detail done for Grant’s Vicksburg Campaign. The similarities and differences between Odierno’s responsibilities and generalship and that of Grant’s and Fredendall’s. The applicability of the Clausewitz/Fuller model, with adaptations, to Odierno’s generalship. McChrystal’s counter-terrorist campaign and how it changed over time. Dubik’s “campaign,” if it can be called that. The similarities and differences between Odierno’s responsibilities and generalship and that of McChrystal’s and Dubik’s. The applicability of the Clausewitz/Fuller model, with adaptations, to McChrystal’s and Dubik’s generalship. The similarities and differences of Petraeus’ generalship as compared to Odierno’s, McChrystal’s, and Dubik’s. The similarities and differences of Petraeus’ generalship as compared to Grant’s and Eisenhower’s. Learn the theory, practice, organization, and control of war and military forces. Explore the theory and practice of civil-military relations in the 20th century. Chart the U.S. Army's transition from conscription to an all-volunteer force. 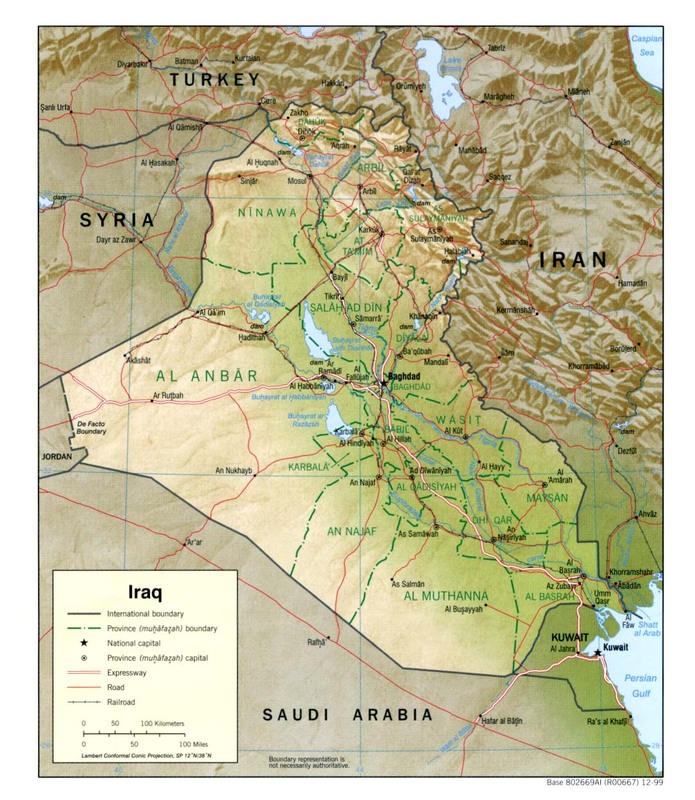 Examine key strategic decisions during one of the most dynamic confrontations of the late 20th and early 21st centuries: the U.S. and Iraq. Study American strategic culture, and the factors that influence when and how the United States uses military power. Assess grand strategic theory and practice in Thucydides and Plutarch. General (Ret) David H. Petraeus is Chairman of the KKR Global Institute. Prior to joining KKR, Gen. Petraeus served over 37 years in the U.S. military, culminating his career with six consecutive commands, five of which were in combat, including command of coalition forces during the Surge in Iraq, command of U.S. Central Command, and command of coalition forces in Afghanistan. Lewis Libby is Senior Vice President of Hudson Institute. Before joining Hudson, Libby held several high level positions in the federal government related to his current work on national security and homeland security affairs. Paul Wolfowitz is a scholar at the American Enterprise Institute. He spent more than three decades in public service and higher education. Most recently, he served as president of the World Bank and deputy secretary of defense. Gary Schmitt is the co-director of the Marilyn Ware Center for Security Studies at AEI and the director of AEI’s Program on American Citizenship. Mr. Schmitt is a former staff director of the Senate Select Committee on Intelligence. Thomas Donnelly, a defense and security policy analyst, is the co-director of the Marilyn Ware Center for Security Studies at AEI. From 1995 to 1999, he was policy group director and a professional staff member for the House Committee on Armed Services. Hugh Liebert is an Associate Professor of American Politics in the Department of Social Sciences at the United States Military Academy in West Point, New York. His primary areas of interest are the history of political thought and American politics and foreign policy. He is the author of Plutarch’s Politics. Jakub Grygiel is an Associate Professor at the Catholic University of America. From 2017–18, he was a member of the Policy Planning Staff at the U.S. Department of State. His most recent book is Return of the Barbarians: Confronting Non-State Actors from Ancient Rome to the Present.